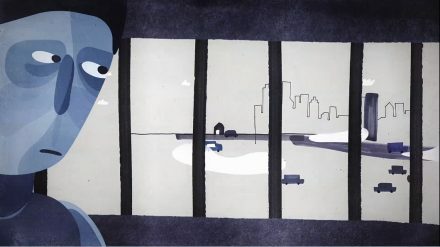 This week, PRI celebrated its 25th anniversary, this time in Vienna, by launching a short new animated film on the impact of unnecessary imprisonment and non-custodial alternatives at the United Nations Crime Commission. In just 2.5 mins the animation seeks to raise some important questions about the use of custodial sentences, particular for minor offences. While for serious crimes, prison may be the only suitable response, in some countries offenders are sent to prison for a wide array of minor offences from swearing to trespassing to parking offences. Even a short prison term can have a disproportionately damaging effect. A stay in prison can end not only in someone losing their home, job and livelihood, but also their family and children. It is also damaging for society because re-offending rates, particularly for short sentences, are often unacceptably high. Alison Hannah, PRI’s Executive Director, who introduced PRI’s new short animation – Is a prison sentence always the solution? Carola Choi, from the Division for Criminal Cases and International Judicial Cooperation at Ministry of Justice in Sweden, who spoke about Sweden’s approach to the use of non-custodial measures and its experience of electronic monitoring as a form of supervision. Mr Ndjoze, from the Permanent Mission of Namibia to the UN in Vienna, who spoke about Namibia’s recent experience of introducing a community service programme. Aldo Lale Demoz, Director of the Division of Operations of UNODC, who congratulated PRI on its anniversary and emphasised UNODC’s community to continued cooperation with PRI and civil society. Find out more about the PRI’s work to increase the use of non-custodial alternatives. We are celebrating our 25th anniversary with a few special activities this year. On the 25th April we held a panel discussion on ‘If prison doesn’t work, what does?’ in London. You can listen to the podcast here. A short film of highlights will be available soon. Our regional offices are also celebrating – see a wonderful PRI cake made in Tbilisi here. We will be hosting a series of expert blogs on trends and challenges in penal reform on our website over the next year, which also happens to be the year leading up to the five-yearly Crime Congress to be held in Doha in April 2015. This series of blogs was inspired by our Discussion Paper – The Use and Practice of Imprisonment: Current Trends and Future Challenges – first presented at the 22nd Session of the Crime Commission in April 2013 and updated for the Crime Commission 2014. At the Crime Congress in Doha in April 2015, we will launch a new annual publication based on this discussion paper, which will provide an update on global developments in penal reform and criminal justice each year. This paper is also supported by an expert blog series 2013-2014 in celebration of PRI’s anniversary year. Read more about the blog series and the annual publication here.